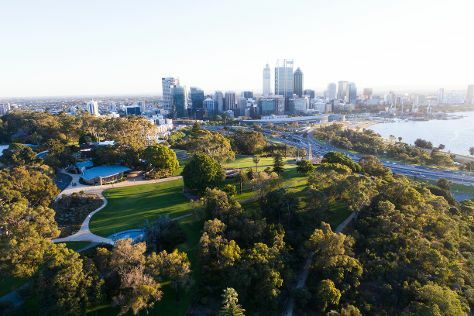 To see other places to visit, traveler tips, maps, and more tourist information, refer to the Perth road trip planning app . Hamburg, Germany to Perth is an approximately 23.5-hour flight. You can also do a combination of train and flight. The time zone changes from Central European Time to Australian Western Standard Time, which is usually a 7 hour difference. Expect much warmer temperatures when traveling from Hamburg in February; daily highs in Perth reach 38°C and lows reach 20°C. Cap off your sightseeing on the 13th (Wed) early enough to travel to Melbourne. Melbourne is known for museums, shopping, parks, zoos & aquariums, and nightlife. Your plan includes some of its best attractions: admire the natural beauty at Royal Botanic Gardens, meet the residents at Melbourne Zoo, make a trip to Flinders Street Station, and brush up on your military savvy at Shrine of Remembrance. For maps, where to stay, ratings, and other tourist information, go to the Melbourne vacation builder tool . You can fly from Perth to Melbourne in 6.5 hours. Other options are to take a train; or drive. The time zone difference when traveling from Perth to Melbourne is 2 hours. Traveling from Perth in February, things will get little chillier in Melbourne: highs are around 32°C and lows about 16°C. Wrap up your sightseeing on the 16th (Sat) to allow time to travel to Sydney. Sydney is known for nightlife, trails, beaches, parks, and museums. 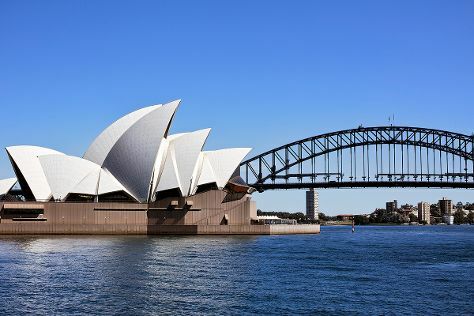 Your plan includes some of its best attractions: see a show at Sydney Opera House, admire the natural beauty at Royal Botanic Garden Sydney, take in the views from Sydney Harbour Bridge, and take a stroll through Darling Harbour. To see where to stay, other places to visit, more things to do, and other tourist information, refer to the Sydney trip itinerary builder app . Traveling by flight from Melbourne to Sydney takes 3.5 hours. Alternatively, you can do a combination of shuttle and flight; or drive. Traveling from Melbourne in February, expect a bit warmer with lows of 23°C in Sydney. Finish your sightseeing early on the 20th (Wed) so you can travel to Hamilton Island. On the 21st (Thu), discover the deep blue sea with a scuba or snorkeling tour. Get ready for a full day of sightseeing on the next day: view the masterpieces at Hamilton Island Art Gallery, then go for a stroll along the water at Hamilton Island Marina, and then step off the mainland to explore Whitsunday Islands National Park. To see traveler tips, other places to visit, more things to do, and other tourist information, you can read our Hamilton Island road trip planning website . Traveling by flight from Sydney to Hamilton Island takes 4 hours. Alternatively, you can do a combination of train, bus, and ferry; or do a combination of bus, car, and ferry. Traveling from Sydney in February, expect somewhat warmer with lows of 28°C in Hamilton Island. Finish your sightseeing early on the 22nd (Fri) to allow enough time to travel to Port Douglas. Start off your visit on the 23rd (Sat): take a tour by water with Boat Tours & Water Sports. Get ready for a full day of sightseeing on the 24th (Sun): see exotic creatures in open habitats at a safari tour. To plan Port Douglas vacation without wasting time, ask Inspirock to design an itinerary. Traveling by combination of flight and shuttle from Hamilton Island to Port Douglas takes 3.5 hours. Alternatively, you can do a combination of ferry and bus; or do a combination of ferry, bus, and train. In February, plan for daily highs up to 36°C, and evening lows to 28°C. Wrap up your sightseeing on the 24th (Sun) to allow time to drive to Cairns. Spend the 25th (Mon) among aquatic life with a scuba or snorkeling tour. Spend the 27th (Wed) wandering through the wild on a nature and wildlife tour. There's still lots to do: stroll through Esplanade Boardwalk, enjoy some diversion at Esplanade Lagoon Pool, take in the waterfront at The Jack Barnes Bicentennial Mangrove Boardwalk, and view the masterpieces at Bones and Jones. To see other places to visit, maps, and other tourist information, go to the Cairns trip planner . You can drive from Port Douglas to Cairns in 1.5 hours. Alternatively, you can take a bus; or take a shuttle. Expect a daytime high around 36°C in February, and nighttime lows around 28°C. Wrap up your sightseeing on the 27th (Wed) early enough to travel back home.